Isn't it wonderful going to a beautifully decorated vacation home? There is something so relaxing and special about the little details. Do you have a vacation home? 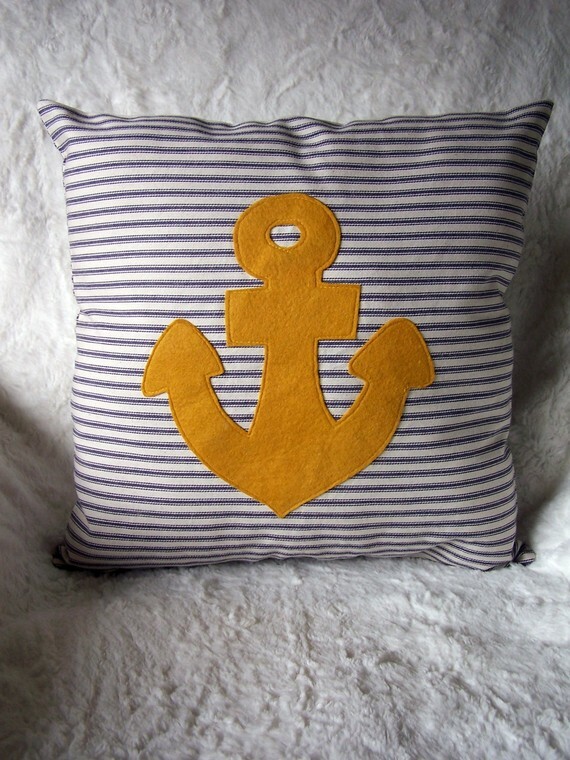 Felt applique a fun shape onto an ordinary pillow. This anchor is great! You could even do a seashell, a flip flop, or even a seahorse! Think about freshening up the kitchen with a new color for the cabinets. Make textured ornaments using yarn or try gluing small objects like buttons or seashells onto a Styrofoam ball. 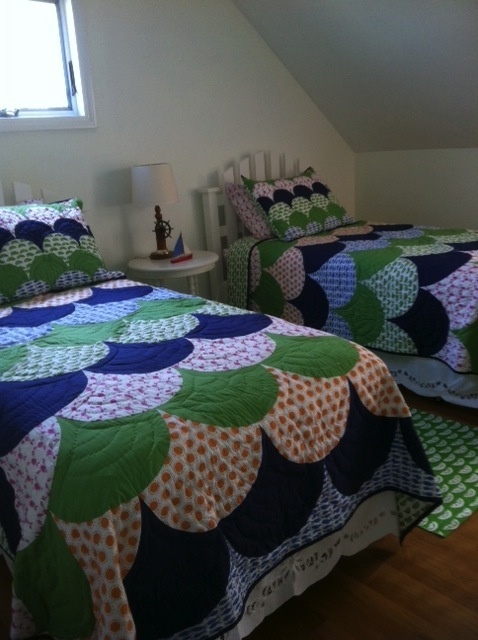 Make fun quilts for the spare bedrooms. Don't you just love these fish scales? 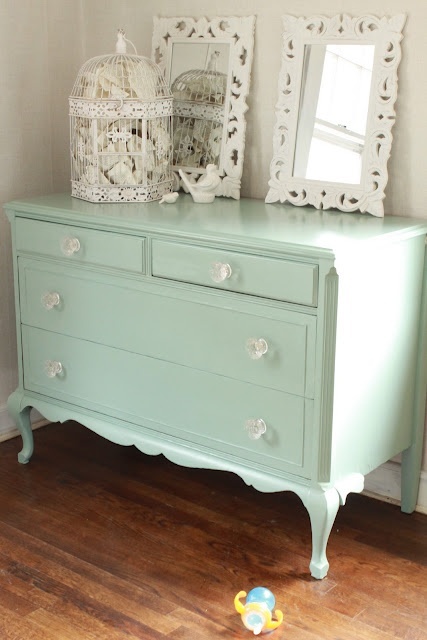 Give a new look to old furniture by painting it ombre. 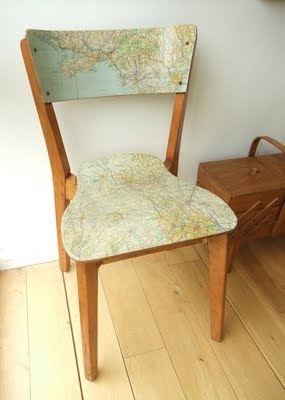 Decoupage an old map onto your chairs to make them more exciting. 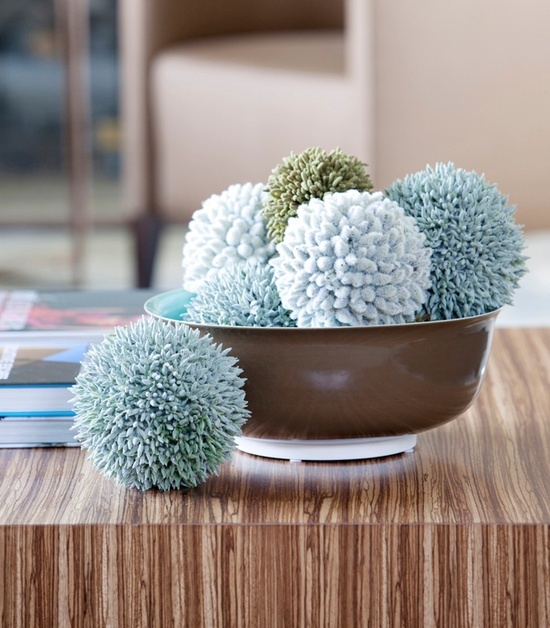 If ombre seems too advanced or just is not quite your thing, how about a nice solid seafoam green? Makes us want a vacation! Do you bring your sewing along on your journeys? 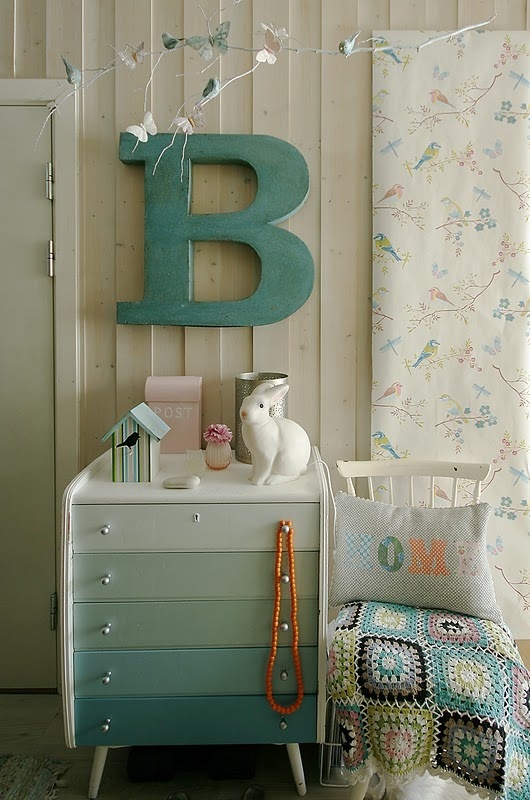 Very pretty, I love the map chair!